I don't even know where the twelve days since I returned from Louisiana have gone but they've involved moving out of our house for a week so that our floors could be refinished, a school day, some delays, Tom being out of town for three days, Oliver's birthday and parties, moving back into our house, the kitchen being largely completed, my parents coming, and, today, participating in the huge and extraordinarily moving March For Our Lives here in DC. So please, apologies for any lack of coherence and polish in this post. Last night, as Mom, a dear family friend from Louisiana, and I made our protest signs, Oliver eagerly joined us to help with coloring and duct tape application. Earnestly, and almost as an aside, he said, "I don't want to die." Our hearts just broke. THIS is why we marched today, because too many children die or fear dying by guns. Too many people do. Every day. Gun violence is a public health crisis, a detestable scourge in this country. 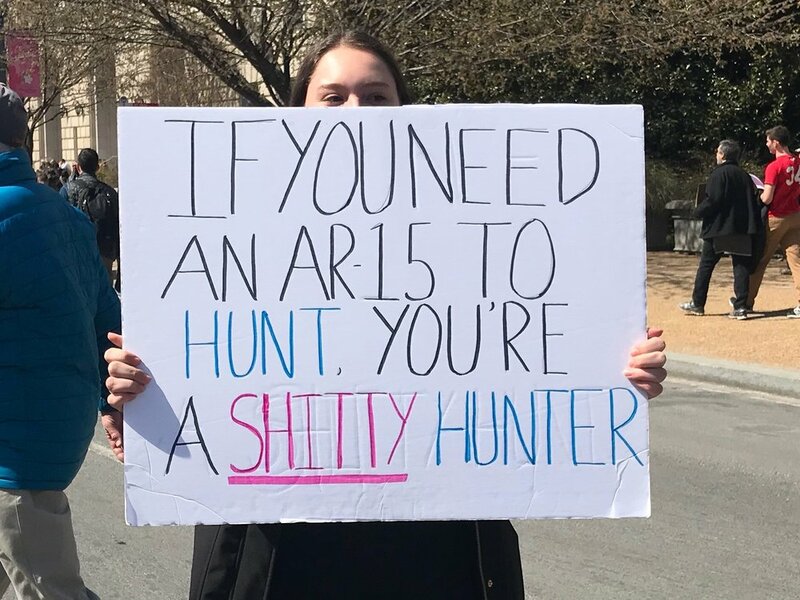 We can do something, and that something is NOT arming teachers. Mom, Dad, Susan, and I started today by attending a pre-March rally in Silver Spring hosted by Jamie Raskin, state senator from Maryland's 8th. Rep Raskin is such a fine leader, one of the many reasons I'm proud to call MD home. 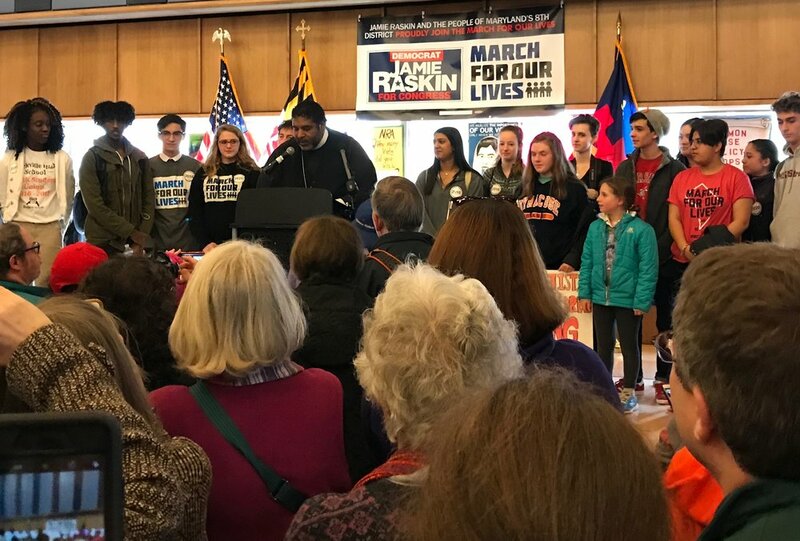 At the rally, we heard and were fired up by the Reverend William Barber (amazing orator and person; listen to his speech to us here), MD's wonderful Attorney General, Brian Frosh, former MD governor, Martin O'Malley, some student leaders from Montgomery County (MoCo) Students for Gun Control, and Mr. Raskin himself. It should be noted that Maryland has enacted some of the strictest gun control measures in the country! Barber speaking against the theological malpractice of those "who say so much about what God says so little, and so little about what God says so much." We then boarded buses to Union Station and from there walked toward the chants and cheers of an ever-growing crowd blanketing Pennsylvania and Constitution Avenues from 3rd to 12th Streets (with much spilling over). I think each of us felt repeated waves of emotion wash over us for hours on end. 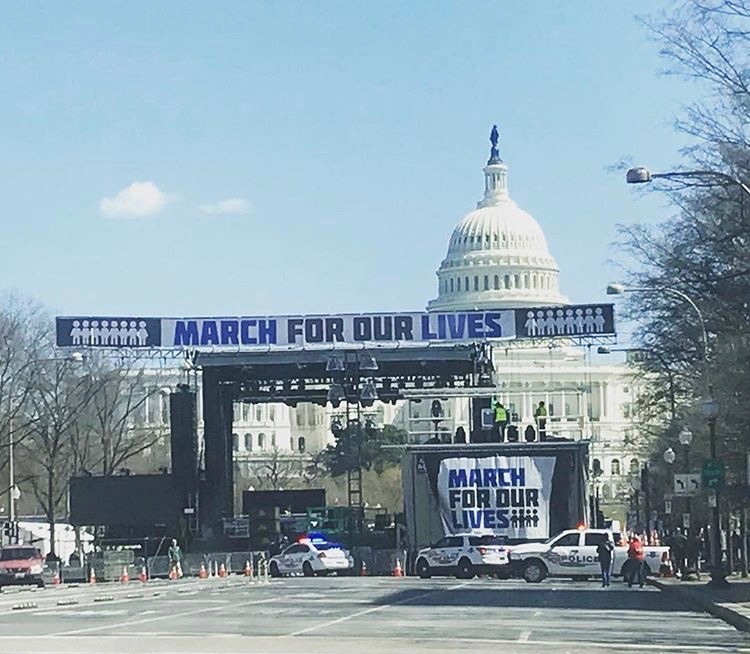 Listening to young leaders like Edna Chavez, Emma Gonzalez, eleven-year-old Naomi Wadler, Matt Post (a MoCo Students for Gun Control leader), and so many inspiring others was profound. I urge you to click on each of their names and watch or read the clips I've shared. We appreciated others' signs, we marveled at the number of attendees (some estimates put the DC march at 800,000), and I considered how this March felt similar to and different from all the others I've attended. Most essentially, we hoped that today and what today represents marks the start of real change for a safer, saner tomorrow. 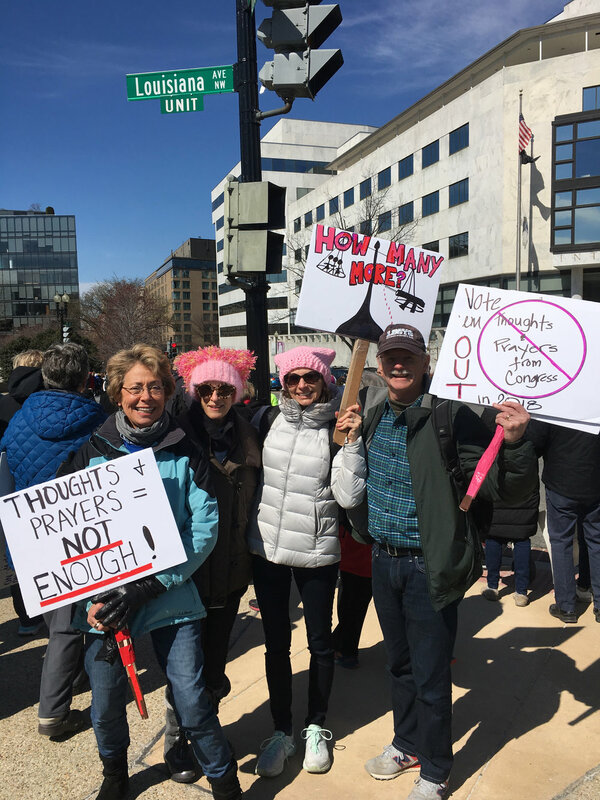 Check out this compilation of photos from marches around the country and world! I'm so grateful for the students leading this charge and for all who marched today.